ECE achieving a high density on the site ensured that the scheme was financially viable. Removing the industrial use from a residential area and replacing it with a high design quality scheme that draws on its industrial heritage provided significant improvements to the locality. 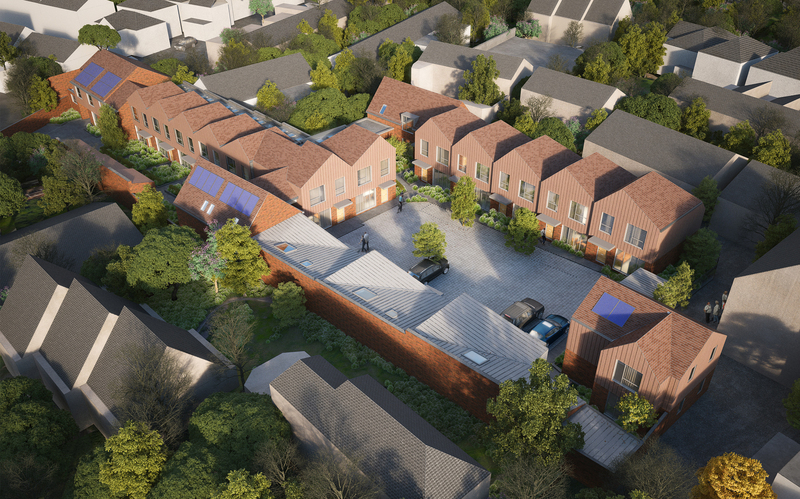 ECE are working alongside Stonegate Homes on the redevelopment of a site at Clears Yard in Dorking, Surrey. The development proposals are for 26 dwellings in total; comprising a mixture of one bedroom flats and two bedroom maisonettes. 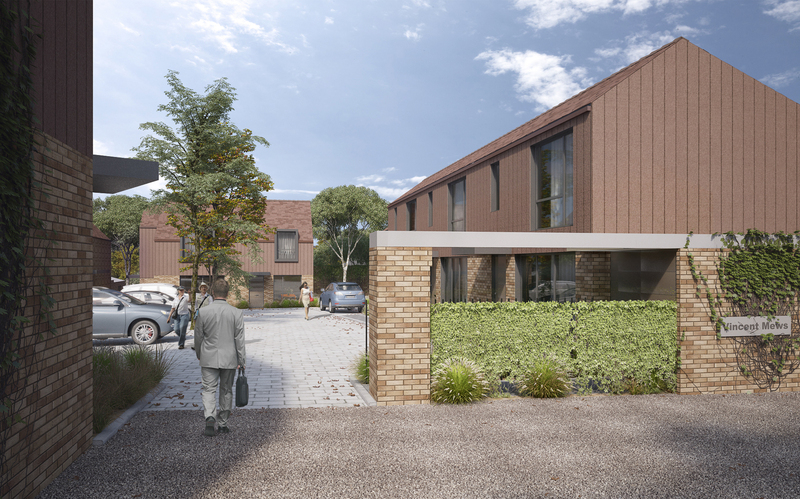 The scheme aims to create a high density, cohesive and exciting new development within the site extents, providing an appropriately designed housing scheme within a sustainable location to meet the need for housing within Dorking. 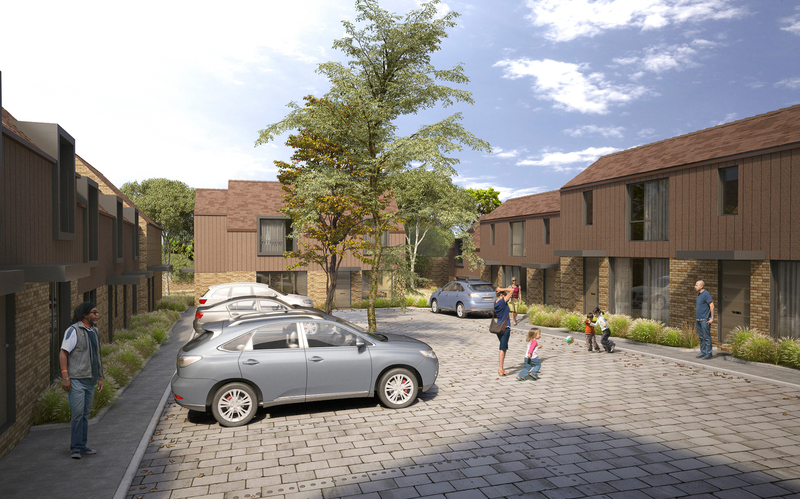 The new dwellings are inspired by the industrial heritage of the site, creating a residential mews. With a limited palette of materials the proposal feels cohesive, linked by the use of one brick throughout the development. A contemporary approach to the elevations ensures that the buildings are ‘of their time’ whilst being respectful of the surroundings and materials such as brick and metal cladding provides a historic association. As a result, this bespoke scheme respects local vernacular and creates aesthetically pleasing and thoughtfully designed residential dwellings specifically for their setting.